Hey there foodie friends! How was your week? Last weekend was a bit rough for me (I was terribly ill), but the rest of the week ended up being okay to say the least. Class work is real, with no sign of letting up anytime soon (haha!). I had my first quiz in biology and I’m pretty sure I nailed it (woohoo hydrogen bonds and van der Waals forces!). Yea, molecular biology this semester, which is okay since I’ve always liked chemistry. I was the chemistry queen in high school. Never below 100%, I kid you not. I hope when I get to taking my actual chemistry course in college….that skill will really come back. Fingers crossed! In other captivating news, I’m getting my hair cut tomorrow. It’s been at least 1.5 years. Yea, bad. Since I keep my hair up most of the time now, I really don’t think I’ll be doing anything exciting. I would never cut the length, but I’ve been curious about color….hmmm. (I’ll probably leave with just a trim…no change…just like every other time I’ve ever gone.) Except one time years back when I got some side bangs again (horrible idea and I hated every minute of it!). Now go soak up the sunshine of your LAST official Summer weekend! (Major tears!) Happy Friday! What are yours? Do you know? I think this maybe the best time to dig deep here. You should feel confident just because you are! Remember these when you think you’ve failed! Think about your reasons for sharing, your whys, and who will see it. This goes for anything. We have to make tough decisions everyday. Don’t go skimming on those calories! You actually do lose your gains pretty quickly. + Having Trouble With The Gluten-Free Cheerios? This is where I stand on the issue as of now. Than again…But please, my fellow celiacs, don’t follow those sponsored posts by bloggers who are not even gluten-free. They are doing it for money and not celiac health. Chuckles 😉 I actually had a delicious baking success this week! Ew. Can’t stand a pizza folder! It’s like they want to get it over with quicker so they shove it all in there mouth at ones…yuck! You guys all know I am a FUN flavorful chicken person! They should never be boring! So spot on! I love this! I’m a firm believer in that there is another underlying issue. The paradox that is all too real. + Writing For The Huffington Post – Yes, No or Maybe? It depends on your goals, but you might want to really think twice. The evolution of freelancing on the internet. Okay, so the “emails” they are making fun of here, I always thought they were spam (auto-generated) anyway and just delete them. So…I’m pretty sure the only bloggers who might take them seriously are newbies…. If you want to make it happen, you can do it! Not just your email and pictures, but the whole sha-bang! The multiple directions and options you have to think about. I am a proud air-dryer! Because this is the tread right now, but I dig it! I’ve always been an advocate for reading aloud and basically “re-teaching” yourself. Omg! Yes! This is so accurate! Every one of these I can smell just by the picture! I hate when people say they’re good at multi-tasking. It really isn’t a thing. Every single one of these is so true! Summer Rolls with Garden Veggies, Basil, and Tahini Garlic Sauce. I would really love to gobble these up! 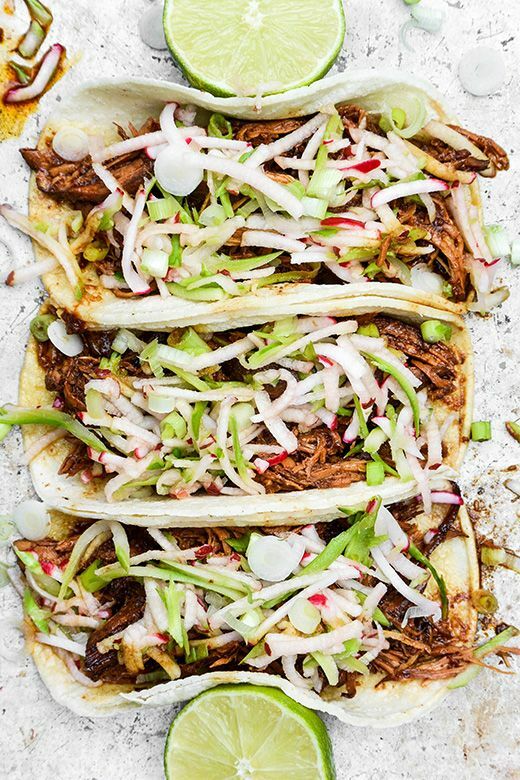 Shredded Hoisin-Blackberry Chicken tacos with Crunchy Slaw. Taco Tuesday every day please! 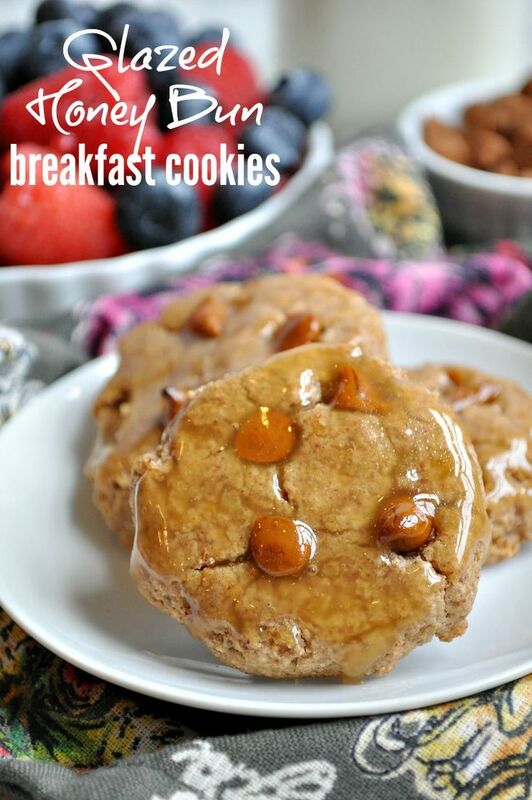 Glazed Honey Bun Breakfast Cookies. Do you guys remember honey buns! O the joy! 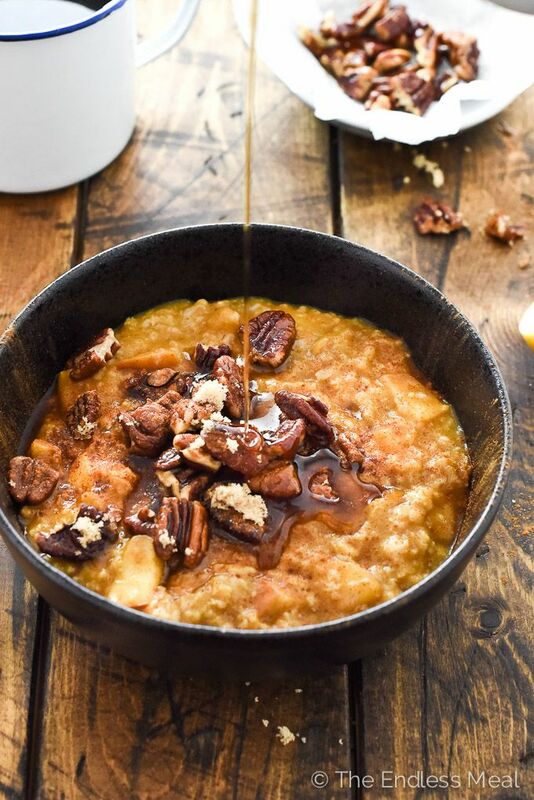 Apple Pumpkin Oatmeal with Maple Pecan Crumble. This breakfast every day for Fall! 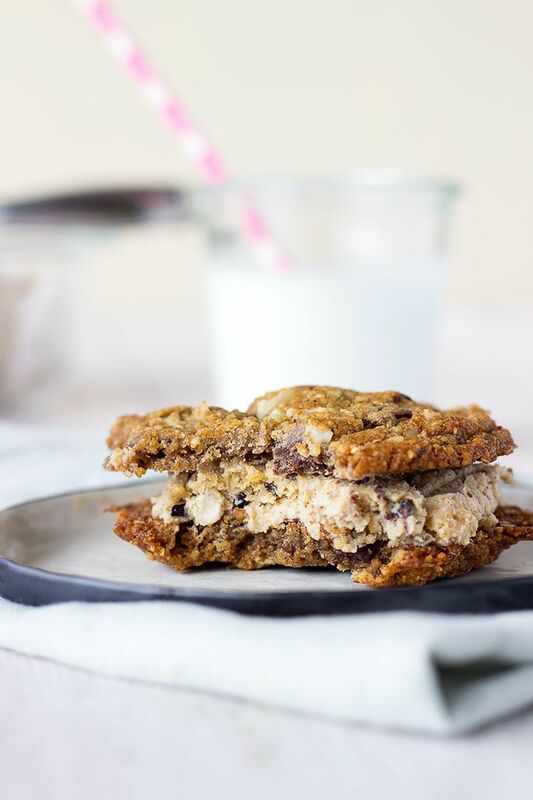 Macadamia Chocolate Chip Cookies. The definition of a vegan/g-free cookie! 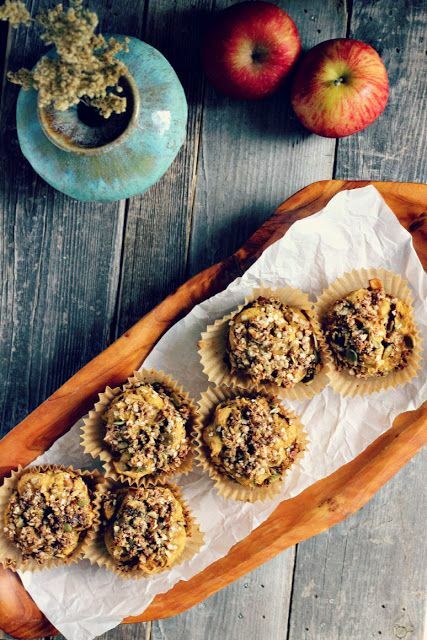 Spiced Apple Pumpkin Muffins with Quinoa Pepita Streusel. Eeeee! These muffins! That topping! 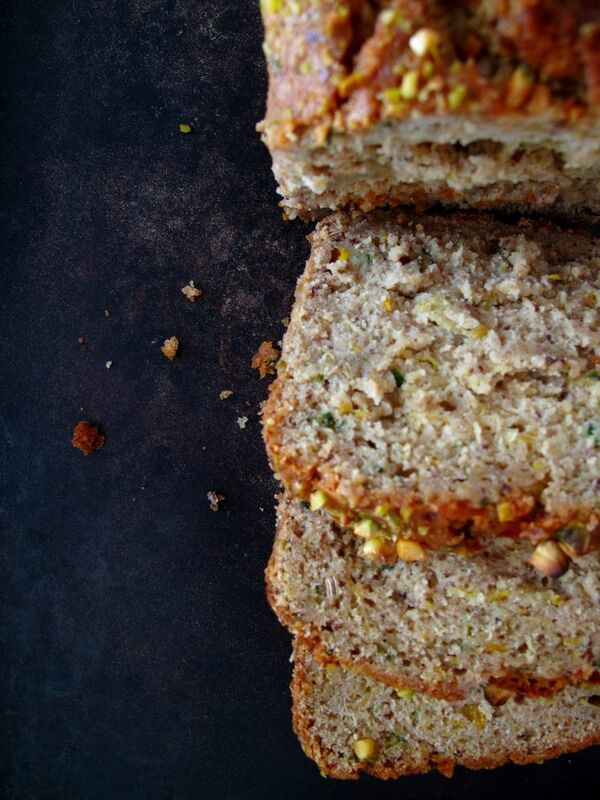 Pistachio Zucchini Bread. Pistachios make you win at life! 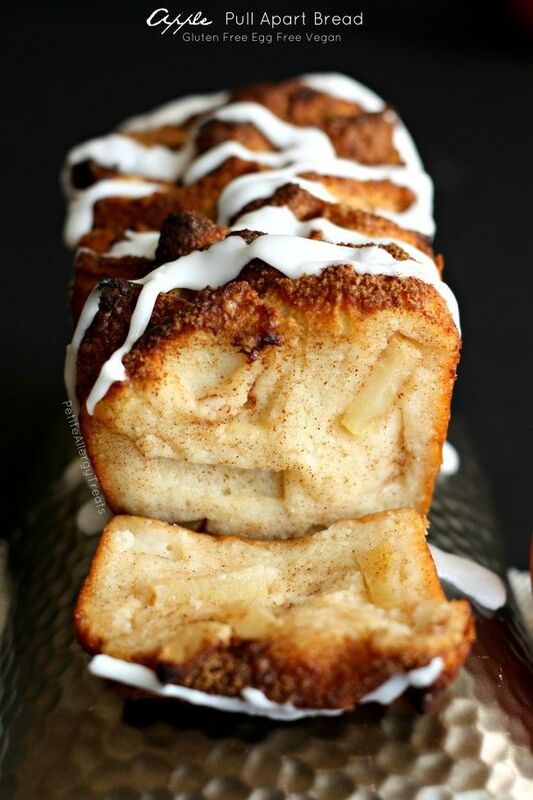 Apple Pull Apart Bread. And this loaf…you will never believe it’s allergy-free! 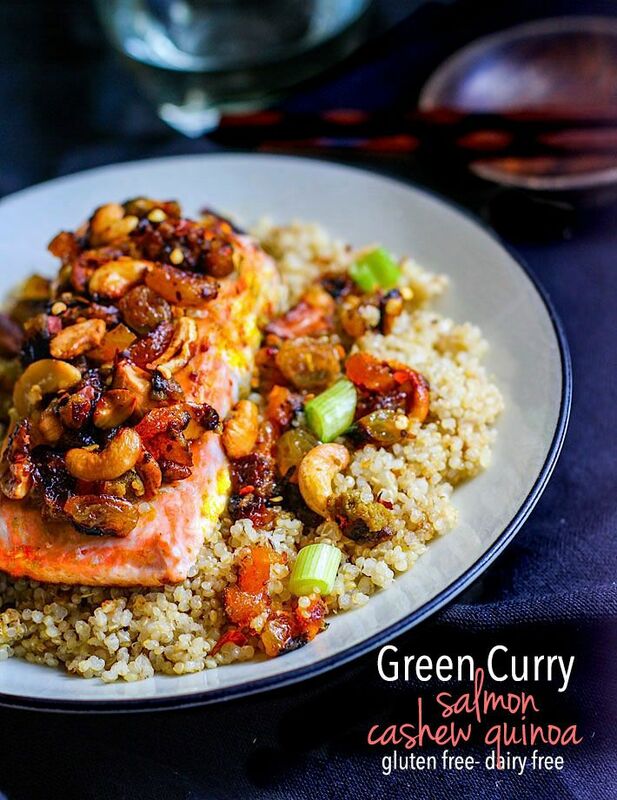 Green Curry Salmon and Cashew Quinoa. The salmon to end all salmon recipes! 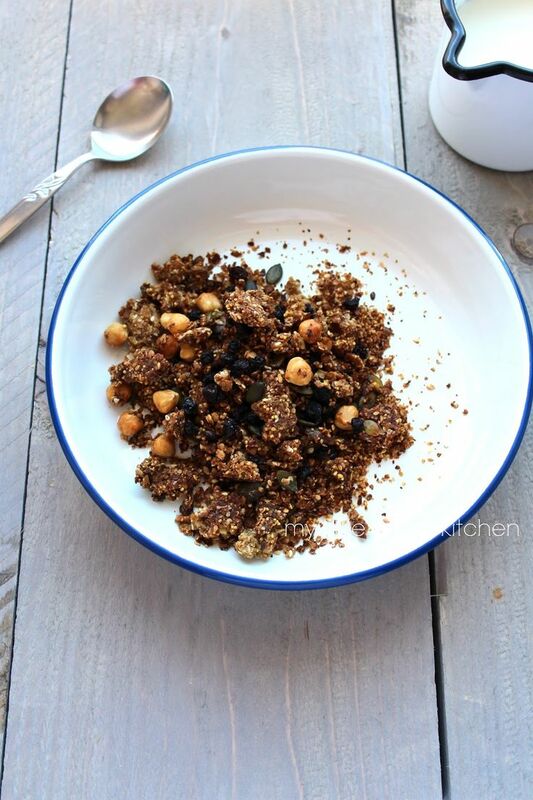 Buckwheat & Hazelnut Granola with Millet, Dried Currents & Seeds. This is only lovely fancy granola <3 My heart! + Doing random cartwheels in the grass outside one day…just because! + Homemade applesauce (recipe to come! ), enough said! + This cereal. Can’t even handle it. 😀 Too good! I jumped for joy when I heard TJ’s made them vegan AND gluten-free this year! + Are you daring when it comes to your hair style/cut/color? Um…no. Super long, thin, and brown. That’s been my hair my whole life! Haha! + Favorite Trader Joe’s pumpkin product? That cereal. 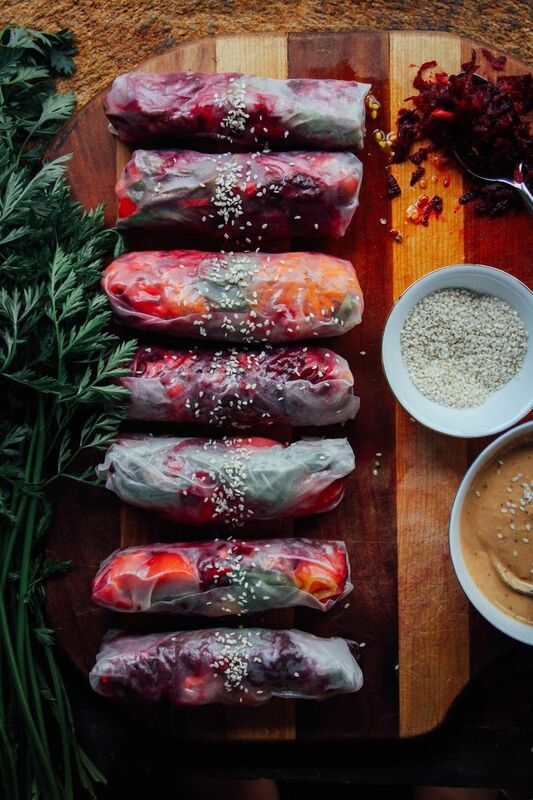 Those Summer Rolls are too pretty to eat! Congrats on acing that biology exam! It was never a favorite subject for me! I did enjoy Lab experiments though! I only (think) I did good! Thanks Shirley! Love all your blog links! I love seeing new things! Ugh… I hate science. Good that you have an affinity for it, it’ll make life easier! I was popping over here to get my FF weekly fix and just saw you shared my pumpkin oatmeal. Thank you so much, lovely lady! hehehe, I haven’t gotten my hair cut in over a year as well (no time, har har). I’m toying with the idea of donating it, but I don’t want short hair (and my definition of short is probably most others’ definition of medium/long), so I have some more growing to do! Folding pizza just grosses me out! It’s the easiest thing to do. Just flick the stick…..it’s not that hard! Haha, really the flavors and foods of the cold seasons are the only good thing! My hair is kinda light, but brunette, always. I always said I would never get it colored…but who knows. Maybe one day! Those pictures made me so hungry! I got my hair cut a couple of nights ago for the first time in a year. I need to go more often, too. But I’m also a creature of habit! Have a great week. Thanks dude much for including my Google analytics post! Glad you liked it! I used to be the opposite with my hair and would impulsively ask for a huge change! I’ve had pixie cuts and even went blond but haven’t done anything major in years – it’s out of my system! The Apple pull apart bread and maple pecan oatmeal look amazing! Going to check out some articles now. That bread…I know…and the oatmeal…o I can’t get over them! Hahahahahahaha 😉 Food love is too strong! Yay for feeling great about a quiz! Another great week for you! I love that you did cartwheels in the grass. The first time I did a cartwheel in my 20’s was like 3 years ago, and it was AWESOME!! loving all the pumpkin in your pinterst!! b) for making me feel better about being one of the least daring persons when it comes to hair cuts. I like it the way it is, ‘kay ;)?! Oh and another thanks for including my post. Same here. I plan on changing at least a little something about the way it’s cut every time I go to the hairdresser’s but then chicken out again. A struggle indeed. Rebecca, respectfully, perhaps you’ve been terribly ill because you’ve been eating the “gluten-free” Cheerios that also have been making so many others ill. Sorry, I thought I’d seen you comment that you had been eating them with no issues to date. Haha, I’m all good now! Thanks Heather! Great links Rebecca~I got sidetracked reading so many of them all 🙂 My post this week is allthings Trader Joes, but I’ve never seen the Pumpkin O’s before-definitely will be checking them out next shopping trip! Have a wonderful weekend!! What!! You have to stock up!!! I’m going to cry when they “go out of season” Haha! Oh man – van der Waals forces! That brings back so many memories from my premed days! Sorry to hear you were sick but hope you’re feeling better. And thank you so much for the link-love. Much appreciated! You are one writing superstar! You should! I know Macs are expensive though 🙁 Sometimes it’s totally worth it though! I need a full size bulldozer to shovel that cereal in to my face 😉 Hahahaha! Hahahaha! I’ve seriously contemplated blonde!!! But idk….scary stuff! Great Links. I just picked up a box of that cereal yesterday after a friend introduced me to it. Have you tried it yet!? It’s so good! You’re going to need more than one box 😉 Trust me! Hahahahaha! thank you for the recipe link.and thank you for the coloring book link. I think i need that in my life! Stress free coloring therapy! Tips? Well thanks for stopping by!